Waggle dances are astonishingly accurate – able to indicate accurately to other bees the location of new food more than 6 kilometres (3.7 miles) away. The warning signal examined in the study is designed to stop the dances. 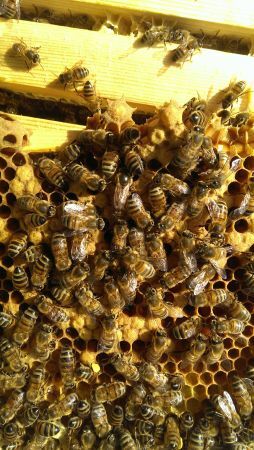 Bees who get directions from the dance tend to leave the hive to go foraging, but if the location is considered a threat - other colony mates were attacked there, for example - the warning signal tells the waggler to please stop waggling so that everyone will stay home. Article courtesy of Richard Farrell.